As a big fan of all things Masterchef, I also enjoyed the American version of Masterchef. But only the latter stages to be honest. In the Australian version there is a lot camaraderie, sometimes a few quibbles here and there, but in the American version, the competition was much more fierce and sometimes down right dirty. 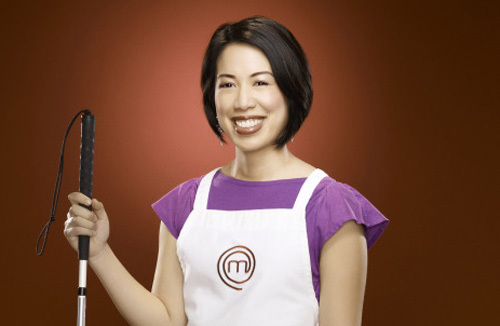 Last night I watched the finale, and a very remarkable winner came out on top, the blind cook Christine Ha ! She wins $250.000,- and a book deal ! Very impressive I must say, throughout the competition she almost always had one of the top dishes and even managed to get the presentation right despite her handicap. Gratz to her ;). Posted in Cooking, Movies / TV and tagged masterchef on 12/9/2012 by Eric.